Ruben Neves scored a stunning winning goal as Wolves knocked out Liverpool in the FA Cup third-round with a 2-1 win at Molineux. Jurgen Klopp made nine changes from the defeat at Manchester City, including handing debuts to youngsters Rafael Camacho and Curtis Jones while 16-year-old Ki-Jana Hoever made his bow after just five minutes when Dejan Lovren went off with a hamstring problem. But Wolves carried the greater threat and took the lead through Raul Jimenez (38) after a sloppy error from James Milner. Divock Origi netted an equaliser from Liverpool's only shot on target (51) but Wolves maintained their control and struck in spectacular fashion via the boot of Ruben Neves (56) from 30 yards. Klopp brought on Roberto Firmino and Mohamed Salah with 20 minutes to go but apart from a Xherdan Shaqiri free-kick that struck the post, Liverpool struggled to muster the desired response. The tone for Liverpool was set when Lovren departed early on. Already without a recognised centre-back in the squad due to injuries, Hoever, Liverpool's third-youngest player ever, partnered Fabinho in a makeshift partnership. In a tepid opening half, Shaqiri had a sight of goal on 31 minutes but his effort flew wide. Milner - one of Liverpool's most experienced players on the pitch - handed Wolves the opener just before the break when his sloppy pass allowed Diogo Jota to find Jimenez, who strode through on goal and fired into the far corner. Origi - quiet up top with Daniel Sturridge - provided a moment of magic to draw Liverpool level after half-time. The striker manipulated himself into space from 22 yards and let fly an unstoppable shot into the top corner. Their lead lasted just four minutes. Neves was given far too much from 30 yards and swerved a fantastic strike into the bottom past the dive of Simon Mignolet. It meant Salah and Firmino were called for but all the visitors could muster was a sensational Shaqiri free-kick that bounced back off the upright. Wolves saw it out with plenty to spare as Liverpool slipped to back-to-back defeats for the first time this season. 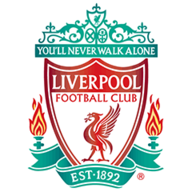 Who is Liverpool's 16-year-old Hoever? Liverpool have been eliminated from six of their last eight FA Cup ties against fellow Premier League opponents. Wolves have eliminated Liverpool from the FA Cup five times - Stoke are the only side they've knocked out of the competition more (6). Jiménez's goal was Wolves' first at home against Liverpool in 398 minutes, since Kenny Miller scored a 90th minute goal against them in January 2004. 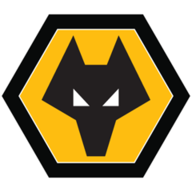 Eight of Neves' nine goals for Wolves in all competitions have been from outside the box, with his other strike coming from the penalty spot. At 16y 354d, Ki-Jana Hoever became Liverpool's youngest ever player in the FA Cup, and third youngest to debut for the Reds overall. Liverpool's Xherdan Shaqiri has ended on the losing side in all four of his appearances in the FA Cup (three times with Stoke). Big players produce big moments to win games and Neves did just that. He's not shown it on a regular basis in the Premier League this season but he saved this strike for the perfect time to hit Liverpool with a hammer blow. His general play, too, was top quality. You'd be expecting him to kick on between now and the end of the campaign. Wolves are back in action next Monday, live on Sky Sports, as they travel to Manchester City. Meanwhile, Liverpool have a chance to go seven points clear in the Premier League against Brighton on Saturday.